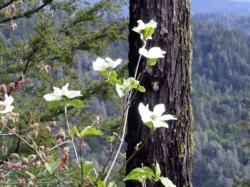 Remote, scenic, mountainous Trinity County is a recreational paradise in northwest California. You can explore the Trinity Alps or Yolla Bolly Wilderness, raft the Trinity River, visit historic gold mining towns, drive scenic byways, or boat on lakes set amid towering peaks. Enjoy hiking, mountain biking, camping, horseback riding and world famous steelhead and salmon fishing. We invite you to visit local vineyards, stay at a working ranch, or tour the award-winning Weaverville Community Forest. 4-H helps young people discover and develop their potential. It provides a wide variety of educational and enrichment experiences. Master Gardeners extend UC research-based information to the public about home horticulture. In exchange for the training and materials received from the University of California, master gardeners perform volunteer services in a variety of venues. Our program promotes healthy lifestyles in Trinity County by addressing childhood obesity, family and consumer well-being, food security and food safety. We serve low income people with quality food and nutrition education programs and supervise the UC CalFresh Program, formerly known as the Food Stamp Nutrition Education Program (FSNEP). The forestry program works with private forest landowners, registered professional foresters, agencies, and forest industry personnel, with an emphasis on educational outreach programs focused on forest stewardship and wildfire protection. Home Survival in Wildfire-Prone Areas: Building Materials and Design will help those seeking ideas to make their home more fire-resistant or planning to rebuild. Other useful information is at www.firewise.org. Burned Oaks: Which Ones will Survive? will help you determine whether scorched oaks should be removed or potentially resprout. Home Landscaping for Fire which covers defensible space, how your home catches fire in a wildfire, and fire-resistant landscaping. Consider suggestions for Fire resistant plants and mulch combustibility .